The Artemis Simulator was huge fun, playing with a bunch of friends. Event highlights for me included the ‘Starship Bridge’ simulator, ‘Artemis’ (do try it if you get a chance) and Johnathan Stabler’s talk on violence in video games – thought provoking stuff. I was also able to purchase an ‘EdTracker’ from Dan Howell (www.edtracker.org.uk) and get it to work at the event – which at £40 was a steal. The event was a little bittersweet for me. I’ll not labour the point about Elite heading in a different direction to where I hoped it might, but I couldn’t muster much enthusiasm for the upcoming 1.4 release. There’s a new Imperial ship (basically an enhanced Eagle) more on CQC coming ‘soon’ for PC and it would appear that PowerPlay is here to stay. Something else is yet to come for the August release which will hopefully be rather more interesting. However, it was a nice touch for Frontier to embrace the community by providing a LaveCon skin and decal, exclusively for attendees. There was also a video from David Braben, but I was in another event at the time so I missed it. There were also some rumours “of there being mentions of sequel licenses being potentially possible at some time in the not too distant future” from Frontier. Sounds like a ‘soon’ to me. 😉 I didn’t hear this first hand, so I can only report what I heard, though those folks who did hear it direct are completely trustworthy, so at least that is more positive. So sequels, eh? Will I write one? That depends a lot on the nature of the license – it may be too expensive. None of the authors, to my knowledge, have actually broken even on their Elite books, so if the license is more expensive than £0, we’ll have to figure out whether it even makes sense to do so. There isn’t much (any?) money in writing unless you’re one of the top 1%. There’s also the lore difficulty. I’m a planner and I want things to make sense. 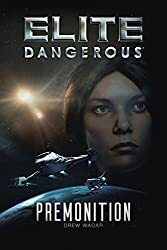 The conditions at the end of Elite: Reclamation have already been, if not broken, rather badly ‘dented’ by what Frontier has done with Elite: Dangerous. PowerPlay has had Senator Patreus implausibly take over the Prism system immediately after Senator Kahina reclaimed it (due to player actions) and as you’ll have seen the from the latest Galnet article, Kahina has now disappeared. To be completely honest this was mostly due to there being no way to provide a coherent story within the editing, approval and scheduling mechanisms of Frontier as portrayed through the GalNet feed. I didn’t want my character mucked up by a story line that made no sense because it was being edited (apparently randomly) out of my control. For some reason I don’t understand, Frontier doesn’t want detailed continuing stories in-game for non-PP characters, despite an early call for some Galnet articles. That’s why Kahina’s story started and then came to a rather hackneyed and abortive conclusion. Sorry about that – it wasn’t my intention at all – I did my best to give the story a tidy ending so it wasn’t left hanging. It transpires that Kahina had a lucky escape from ‘PowerPlay’. GalNet has become rather dry in recent weeks, seeming to be mostly concerned with the PowerPlay statistics, it’s also starting to contradict itself and the previous Frontier lore. Lots of story lines kicked off and then stopped. I’m not sure what’s going on there – but it’s nothing to do with me! In short, a direct sequel will be rather tricky to shoehorn into the Elite: Dangerous of ‘now’ onwards. Without a license, it’s a moot point, but even with one, I’m currently out of ideas on how it could proceed. Perhaps I could look at a prequel, or even a completely different story set somewhere else and leave ER as a, hopefully great, but isolated story. Or I could try to figure out a way to integrate what’s happened since with where I left off. <Scratches head> That’s a question for you folks… What do you think? Would you like to see Kahina et al again, regardless? 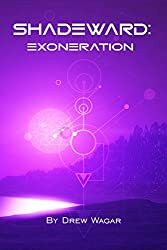 On a more positive note LaveCon allowed me to gauge reaction to the first public outing of my latest book ‘Emanation’. This went well. My reading was deliberately a bit low-key this year as I’m ‘keeping my powder dry’ for Fantasticon when the book launches. Expect a bit more of my traditional ‘razzmatazz’ for that event. For some reason Kate and I were billed separately from the other authors, though this seemed to work in our favour as we, reportedly, had far more people turn up to our readings as a result of the Sunday afternoon slot. Kate had done an excellent rehearsed version with live music and sound effects, it went down very well. Overall, LaveCon was great fun, and the organizers should be proud of a well run event. So, assuming that there won’t be a sequel to ER anytime ‘soon’, it’s time for me to let go of the characters from that story; Kahina, Luko and all the others. This is always a bit tough, as you’ve invested a lot of time and creative energy into fleshing these people out. They’re not real of course, but you do care about them in a strange way, and wish to see how life turns out for them. That’s a little hard to do, so forgive me for being a little melancholy about it. However, my new book beckons and I’ve been able to plow that creative energy into new characters. This world of Esurio is very different to anything you’ll see in the universe of Elite, but the people share many similar facets; they’re humans after all. Even better, these characters, unrelated to anybody else’s universe, are mine to create and nurture as I see fit (and dare I say – do properly!). One of the best things about working with the Kahina character was showing her progression from spoilt brat, to arrogant imperial, to vulnerable lost woman, back to arrogance and then finally compassion and a measure of understanding. With multiple books in a ‘saga’ to play with, all of my characters will get to go through, in some cases, some very dramatic transformations. Some will learn tolerance, compassion and wisdom, others quite the opposite, products of the events that occur in the story. What I strive for above all else, and which I hope separates me from many other writers, is that I really scrutinise my characters in detail. I don’t want you to be able to say ‘Oh, yeah, the baddy is …’. I try really hard to break out of the ‘tropes’, the categorisation that drops people into boxes determining how they act, as if its some kind of recipe. Nerina Helios is a powerful religious matriarch. Each character has a detailed backstory which throws light onto their childhood, parentage, upbringing and significant events, as well as their appearance, habits, skills and traits. I spend a lot of time on this because I believe it pays massive dividends in making the characters ‘jump off the page’ for readers. There’s an excellent poem that comes to mind, which I sometimes use when developing my characters – it helps to ground them in a little reality. It’s worth checking out if you’re not familiar with it – “Children live what they learn” – By Dorothy Law Nolte, Ph. D.
As you can see, this indicates that a child’s upbringing is fundamental to how they end up perceiving the world and treating those around them. What I’ve also been able to do is start many of the characters off much younger than before, you’re going to see parts of their childhood. So when they do some of the startling, amazing and perhaps horrific things they end up doing, you’re going to understand why. Your childhood echoes into your adulthood in strange and often surprising ways. As before, there are going to be characters who you don’t know whether to root for or not. You may be able to see some of them proceeding down a slippery slope into the darkness, hoping they will make a choice that spares them from ultimate destruction. Only time will tell. Younger folk have the benefits of boundless enthusiasm and energy, but wisdom is sometimes in short supply. 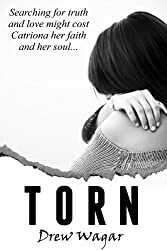 Emotions and feelings can rip and tear far more dramatically, but it will give you a greater insight into what it’s like to live on this strange planet. It was good to meet up and chat with you, sir, shame time didn’t allow for a longer natter! It’s a pity that Lady Kahina has disappeared from E:D now. 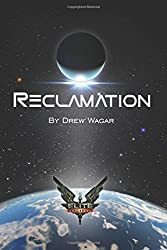 Reading “Reclamation” really brought the game to life for me. I even made the journey to the Formidine Rift! It took me weeks and weeks as a casual player, in fact I just arrived there a couple of days ago. At the moment I am reading “And Here The Wheel” and find it a good read, too. I wish FD would take the chance and take the storylines developed by the official authoers and move them on in game. I have the feeling, most of the authors would be glad to participate. E:D is such an amazing game – I am still staggered that the sky looks different in every single system I visit! And every now and then you stumble across a planet that simply looks incredible. But I’m with you when you say that the game lacks good and credible evolving storylines. Powerplay is mostly statistics by now and there is no real place for characters who don’t want to gain territory but have other goals. Maybe the “Tier 2 NPCs” will one day give home to them? (I think that Powerplay delivers the “Tier 1 NPCs” from the DDF – But I heven’t tried Powerplay yet. It will take probably another months until I come back from the Rift :-O). Hi Commander! 🙂 Thanks for that, I hope you safely return from your trip. Dalk could be fun to investigate – certainly there are untold stories there. His backstory indicates he worked for the Alliance for quite some time. 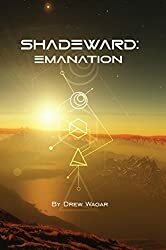 As for the Shadeward Saga, I plan to release a book a year for the next five years or thereabouts! Wish I’d been able to come to Lavecon. I’ve been working hard to tell everyone I’ve met how utterly fantastic the Elite fiction I’ve read so far has been (Reclaimation, Mostly Harmless, and Here the Wheel, Tales etc). I’m so saddened to hear you’ve not really broken even on the books. Keep your end up though! I speak for many when I say I’d love to hear from of Kahina, Hassan and Luco. Maybe Octavia found an escape pod? Maybe someone found that black memory tab floating in space? I look forward to your new series of books set in your universe, and I think you are making the correct decision focussing on that. ER was a good book – I have read it more than once (I do not do that with all books) and enjoy it tremendously, but any more on Kahina would be milking it, and a mistake. If you do a sequel on that character, I would recommend a prequel on Luko …. but they are your characters so I suppose I should not be telling you what to do :-). BTW – I thoroughly enjoyed your Oolite saga as well. The series was bit disjointed at times (understandable considering how they were written) but well written, flowed well with a good balance. I recommend them to people if they have not already read them. As I said, awaiting patiently for your Shadeward novel(s) …. Hi Edward. Thanks for the comment. The Oolite Saga could do with a complete re-write to be honest, but I’m not sure if I’ll ever get around to it! It won’t be long for Shadeward. Obviously, if there is news on ED books, I’ll post here. I enjoyed Elite: Reclamation, the Oolite Saga and your short stories in the Elite/Oolite universe very much. I can imagine that an existing background helped you in a way to get started, but now I am curious what you will bring us without the shackles of a pre-defined universe.